Lorraine originally enrolled at UConn as a marketing major, but soon found that the aspects of marketing that she connected to were all related to COMM. After making the switch to become a communications major and a political science minor, she combined her love for both communication and politics to further her career in the political world. Carlucci now serves as the president of Disney at UConn, the Vice-President of Comm Society and is a part of two SUBOG committees. Outside of the classroom, Lorraine has an incredible amount of real-life experience. She has been a social media intern for the U.S. Department of State for the past year and a half under Ambassador Catherine Russell. She was also honored to be a media intern at Hillary for America, Hillary Clinton’s campaign headquarters. This was an amazing opportunity for her, as she was able to work on the team that produced Hillary Clinton’s television commercials, direct mail pieces, and radio ads. Lorraine stated that this internship was an incredible opportunity to further her experience in both the communications world as well as the political world. Lorraine aspires to combine her passions for communication and political science. She stated that, “to be effective politically, communication is key”, and feels that her communication skills are going to be what prepares her for her future career. She gives a lot of credit to Professor Rory McGloin as an advisor. After taking a public speaking course with him during her freshman year, working with him in Comm Society, and being his research assistant, she feels that he is incredibly dedicated to his students, and a pleasure to work with. While giving her many great opportunities, she feels that Professor McGloin has ensured her that being a COMM major was right for her. With her vast experience in and outside of the University, it is clear why she stands out as one of the Department’s most committed students. We are proud to share her accomplishments thus far and are looking forward to all that she accomplishes post-graduation! For the past five years, UConn’s Department of Communication has had the opportunity to award a scholarship to an outstanding undergraduate student, thanks to a very generous donation from alumnus Martin Horn. After earning a B.A. and M.A. in Communication from UConn, Martin Horn went on to achieve great success in marketing communications. The selection process for this scholarship is very in-depth, only to ensure that the recipient is one of the most hard working, successful, and driven students of the department. The scholarship gives students the opportunities to explore passions and take their future careers to new heights. The 2013-2014 winner of the Martin Horn scholarship was Kaitlyn Young. This scholarship allowed Kaitlyn to spend her final semester abroad in Cuzco, Peru, which fueled her passion for Latin American culture. 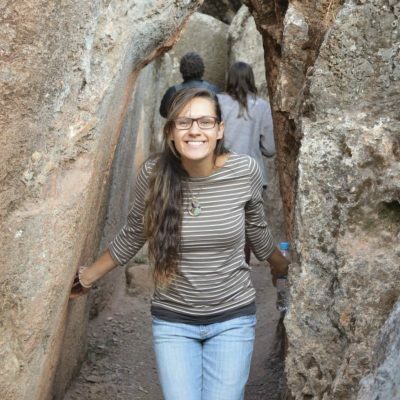 This trip inspired her so much, that within just a few short months she was back on a plane to Ecuador where she backpacked for six months and became a fluent Spanish speaker. Kaitlyn Young has since graduated from the university, and then pursued her knowledge of communication and passion for yoga and health to work for her local wellness center as their social media and email marketing manager as well as a yoga instructor. She loves this position because she’s furthering her passion for communication by creating content that she’s actually passionate about. Kaitlyn has already made large strides in her career as she currently teaches at two yoga studios and hosts her own highly praised workshops. These workshops guide beginner yoga students in order to feel safe and knowledgeable inside their bodies, creating a comfortable and judgment free space. She uses her social media and marketing background to run an online yoga community through Facebook. 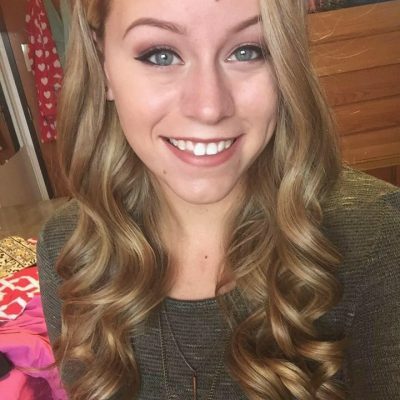 Kaitlyn shares local yoga events, live streams video chats every Sunday about mindfulness and yoga practices, and writes a blog that complements yoga as a lifestyle. The Department of Communication is thrilled to share stories of our alumni stepping into the world and make it their own! For more information, updates, and live videos from Kaitlyn, check out her Facebook and website!